The purpose of this feature is to allow you to export a small collage for social media or a header on your website. The selected images will be joined as a single JPEG once exported. This feature is only available on our paid plans. You can use this feature on any of the yearly or monthly plans. To learn how to change your plan click here. Select the images from your post that you would like to export. 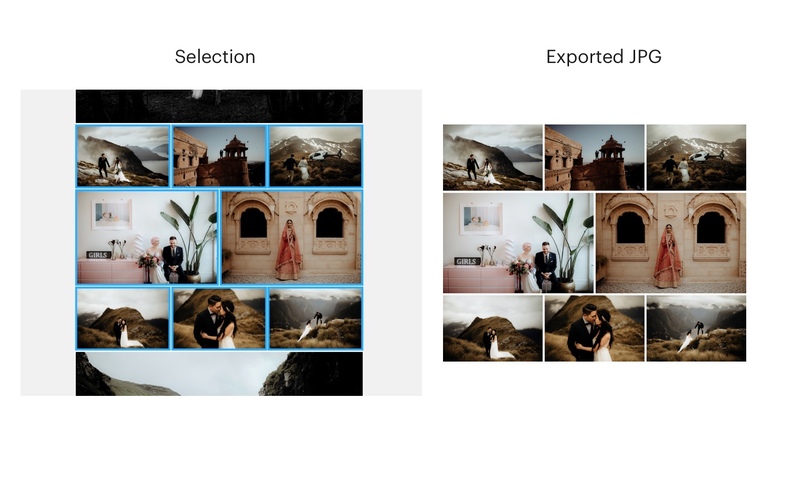 To do this, either hold 'shift' and select multiple images or drag over the images you would like to include in the export. 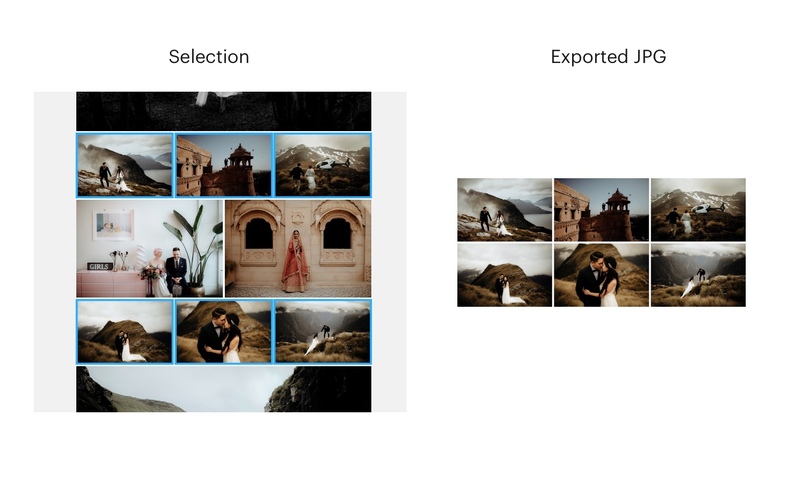 Head to the properties tab and expand the "Export collage" section. Select the width you would like to export the image at. Select the quality you would like the image to be exported. The pop-up will prompt you to pick a title and the location you would like to save the image. Click save to save the exported collage. In the example below, the user selected 8 images (highlighted blue) and exported them as a single image. The image on the right shows the exported single JPG. In the following example, the user only selected 6 images (highlighted blue) and exported them as a single image. The image on the right shows the exported single JPG.